-- Select a Size -- 6-8" 8-10" 10-12"
Dazzle your pet with a gift of this glittery collar from Cha-Cha Couture! Posted On 01/05/19 by Sharon L from Bloomington , IN Yes, Sharon L recommends this product! 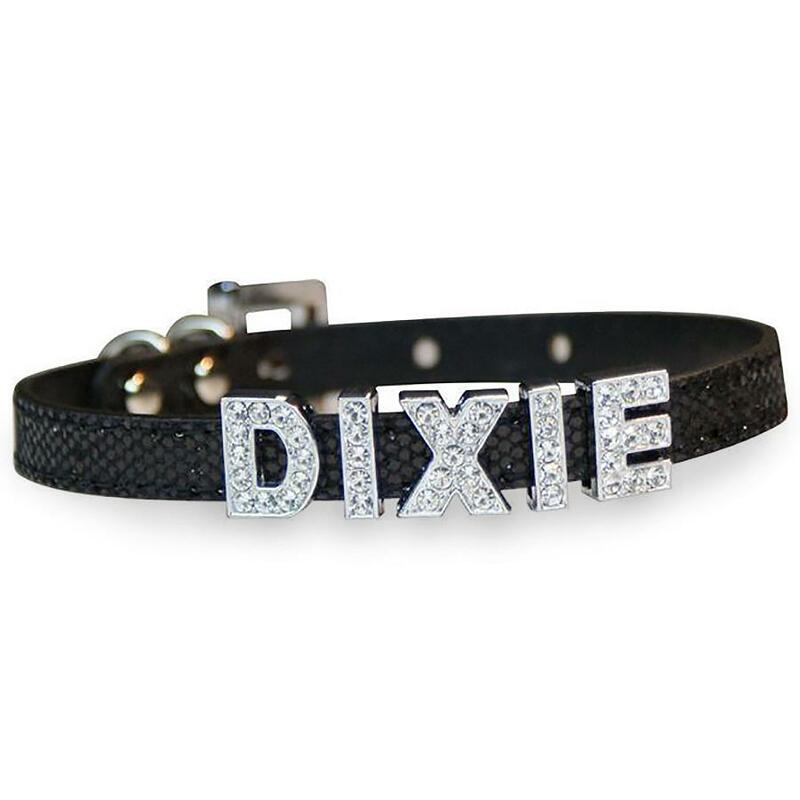 Love this collar and the bling letters that we got to go with it. We just recently bought Fawn her second collar for Christmas after 4 years of the first holding up so well. Got a replacement “W” as one of the crystals had fallen out after all these years. Fun! Wish they had numbers too.